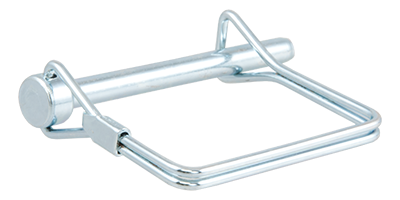 CURT safety pins offer a convenient and dependable way of securing your trailer coupler latch. They can also be used to retain various accessories. CURT safety pins are equipped with a square clip for easy latching, and they are available with a 12" mounting chain.